Paper tags are durable and can be color-coded to identify a wide variety of workplace issues. At Seton, we offer several paper tag options that would work seamlessly into any workplace or existing tagging systems. If you're looking for durable tags that need a little extra protection, consider our Blank Self-Laminating Tags. These paper tags come equipped with an overlaminate that protects your message from weather and tampering. We also offer a variety of different colored tags that aid in color-coordination, as well as inventory and maintenance practices. No matter your needs, Seton has the perfect paper tag for your business. 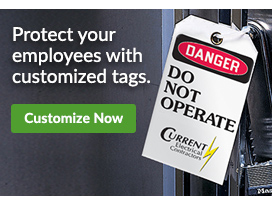 Paper tags offer one of the quickest ways to tag and maintain you're facility's equipment and assets. A paper tag is easy to write on and can easily attach to everything from inventory shelves to large pieces of equipment. Use them to create your own handwritten coding system. At Seton, we offer a wide selection of paper tags. If you're looking for tags with a tear-off feature, consider Tear-Off Jumbo Repaired Colored Blank Tags. Made from a 13 pt. cardstock paper, these tags can be easily marked with a pen, pencil or permanent marker. Each tag comes pre-numbered, making it easy to find its counterpart once it has been torn off. These paper tags also feature a reinforced fiber patch designed to resist tearing. If you're looking for an economical choice, these paper tags are a great choice. Does your business already have a color-coding system in place? Help maintain it using Blank Colored Tags. These durable 13 pt. card tags are an economical and convenient way to label anything. Each tag also comes with an attachment, and you get to choose between 12" double wire steel tie, 12" looped string tie, 7"knotted white elastic tie, as well as pick between a metal or paper eyelet. With so many options to choose from, Seton is sure to have the perfect paper tags for your business.